Damian ‘Jr Gong’ Marley has announced that he has a new album coming out later this year title Stony Hill. There are not a lot of details available on the album, but sources close to the reggae/dancehall hitmaker told Urban Islandz that it should arrive by the end of 2016. Sources also told us that Stephen Marley, Nas, Wayne Marshall, Agent Sasco, are among the guest features on the album. As for producing credits, we now know that he produced the album himself, with the help of his brother Stephen Marley. 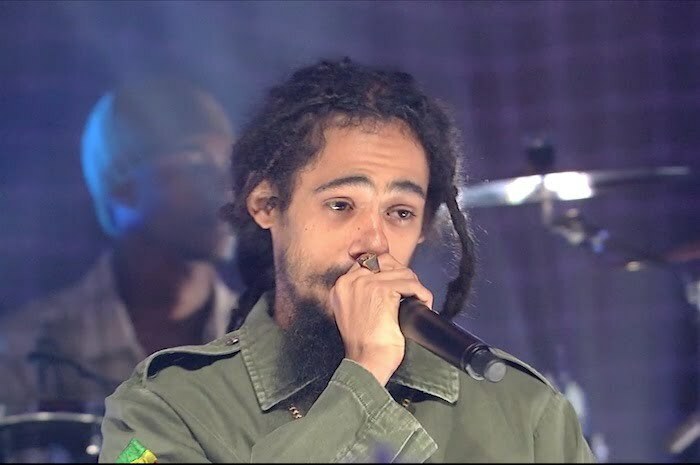 Damian Marley has also released the first single off the album, “Nail Pon Cross”, released on TIDAL earlier this month, Billboard reported. It’s been a decade since Junior Gong released his landmark album Welcome To Jamrock which earned him a Grammy in 2006 for Best Reggae Album. The title track for that project also won Damian Marley a Grammy for Best Urban/Alternative performance making him the first and only Jamaican artists to ever won that Grammy award. Since releasing Welcome To Jamrock 11 years ago, Gong has worked with the likes of Mick Jagger and Joss Stone where the trio formed a super group that released an album SuperHeavy. He also released a joint album Distant Relative with Nas in 2010 and later went on a world tour.